Part of my strategy to speed things along is to provide a small armoury of protection against the cold. 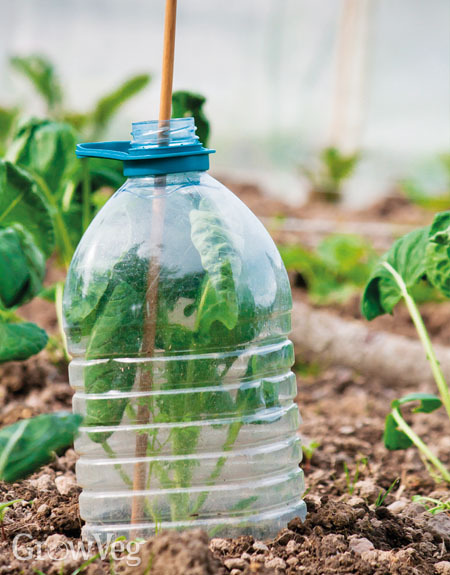 Cloches of all types, including row tunnels and home-made bottle alternatives all have their part to play in defying the seasons and stealing a march on the growing season. The best cover for a homemade tunnel is polythene tunnel plastic. This tough plastic will last longer and is less likely to tear as a result of UV degradation. Alternatively use standard horticultural fleece, though bear in mind this won't help the soil to dry out after a wet winter. 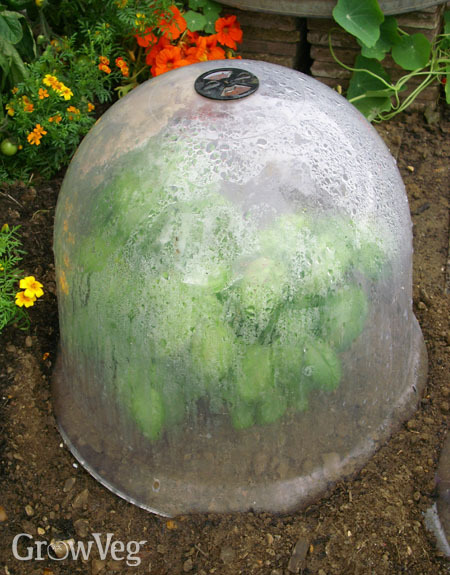 It will, however, serve as a handy insect-proof cover once the growing season's under way.